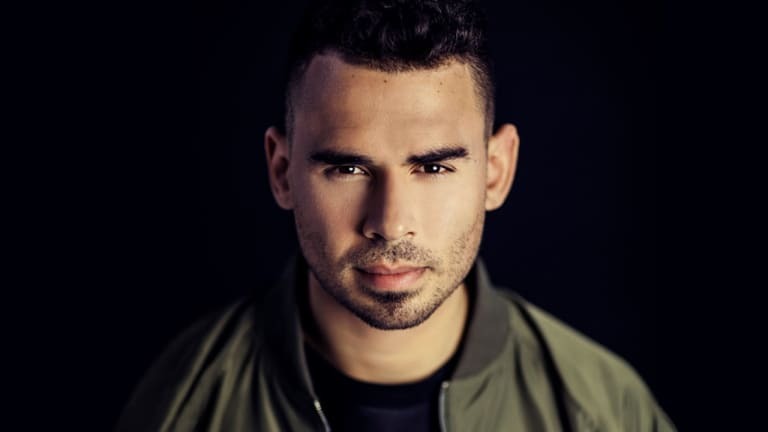 In the past decade Afrojack has seen much success, but despite recently being ranked at #8 on DJ Mag&apos;s Top 100 DJs list, he hasn&apos;t had a hit on the Billboard Hot 100 single charts in almost two years -and for good reason. 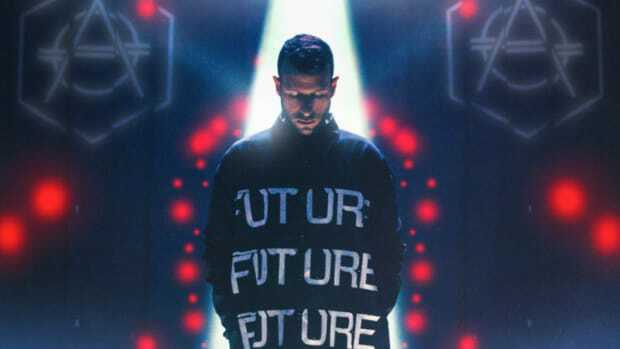 The Dutch DJ has been focusing more on seeking out new talent and supporting their growth in the music industry rather than furthering his own accomplishments. 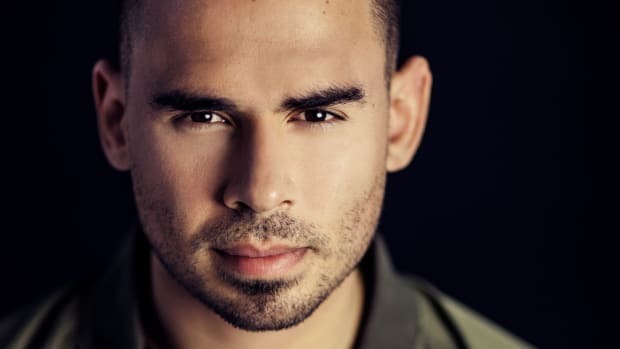 Nick van de Wall, famously known worldwide as Afrojack, has produced hits like Beyonce&apos;s "Run the World (Girls)," Ne-Yo and Pitbull&apos;s "Give Me Everything" and Sia and David Guetta&apos;s "Titanium," along with his own radio hit featuring Eva Simons, "Take Over Control." With all that success and experience, he&apos;s sharing that knowledge with up and coming DJs on his record label, Wall Recordings. In our most recent interview with van de Wall, he said that not many people know how far he goes for his artists. At his house in the Netherlands, he&apos;s actually built a creative compound for those signed with the label. Each artist is provided with their own studio space and living quarters and, in addition to that, van de Wall said he also gives them laptops and whatever plug-ins they may need. He also dedicates a lot of time in the studio giving his artists guidance and counsel on whatever new track they&apos;re cooking up. When asked how he helps out in the studio van de Wall said that, when working with artists like Chico Rose, DISTO and Jewelz & Sparks, he makes it a point to "spend a lot of time building up on everything that&apos;s going on" and talk a lot. "It&apos;s a creative process," he said. "The thing I love the most is to work creatively in the studio together with all the artists." Along with providing guidance in the studio, he also actively finds ways to showcase and promote their new music. 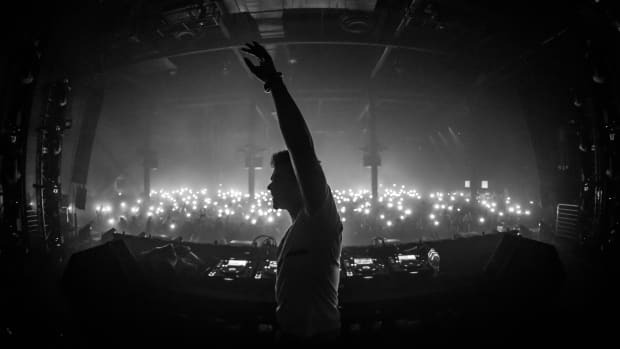 He gives his DJs the opportunity to play at festivals like Tomorrowland, and also on his own worldwide tours. With every new year, van de Wall focuses on growing one or two artists. 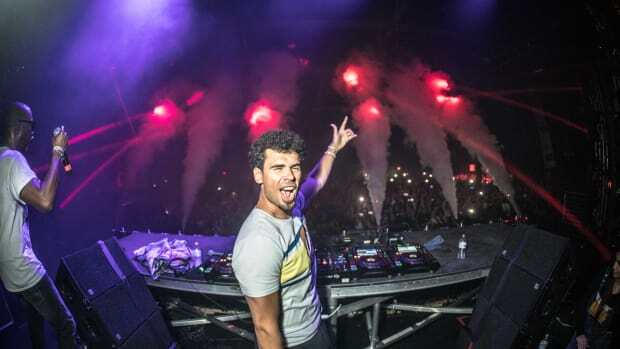 In the past he&apos;s developed fellow Top 100 DJs Quintino and R3hab in addition to Dutch singer-songwriter Fais, whose Afrojack collaboration, "Hey," went triple platinum in Europe and led to the pair performing at the 2016 MTV European Music Awards. This year he told us that his main focus is growing Ravitez and his latest talent, Jewelz & Sparks. In May, the German DJ duo comprising of Julius Voigtländer and Gregor Brechmann, Jewelz & Sparks, signed with Wall Recordings and started their musical journey with van de Wall. Their first collaboration with Afrojack and release on the label, "One More Day," came out that same month and now has over six million streams on Spotify. Interestingly enough, it started out as a vocal demo the duo created and, with van de Wall&apos;s help in the studio, it turned into the pop-leaning dance track that it is today. "One More Day" was just the beginning of the duo’s growth under van de Wall’s tutelage. At the end of August, Afrojack released his fourth EP, Press Play, which features the duo&apos;s second collaboration, "When You&apos;re Gone." Branching off of their previous, radio-friendly style, their latest track, with the encouragement of van de Wall, has a more big room sound. On their growth since "One More Day," van de Wall said, "Of course, they&apos;ve grown. They&apos;re always growing, but the most important thing that I try to do is make the producers try new things that are outside of their comfort zone." In October another version of "When You&apos;re Gone" was released that further showcases the duo&apos;s rapid growth. With an equal balance between pop and dance, the more radio friendly version is even better than the original. While growing Wall Recordings&apos; artists, van de Wall is simultaneously working on his biggest passion project yet: two global talent searches. With the help of LDH Europe, a management company of which he is now the CEO, the renowned DJ and businessman is looking to recruit DJs and singers. On the project van de Wall said, "Now that Wall Recordings has merged with LDH, we finally have the backhand to do a vocal and remix contest on a global scale and also potentially offer a collaboration and artist development deals to artists we haven’t met before outside of our network." For singers, there was a global vocal battle audition to find the next big pop act. Currently they&apos;ve selected finalists from around the world and the singers have been flown to Japan for performances and auditions with van de Wall and a team of experts at LDH. For those of you who are aspiring DJs, you&apos;re in luck. 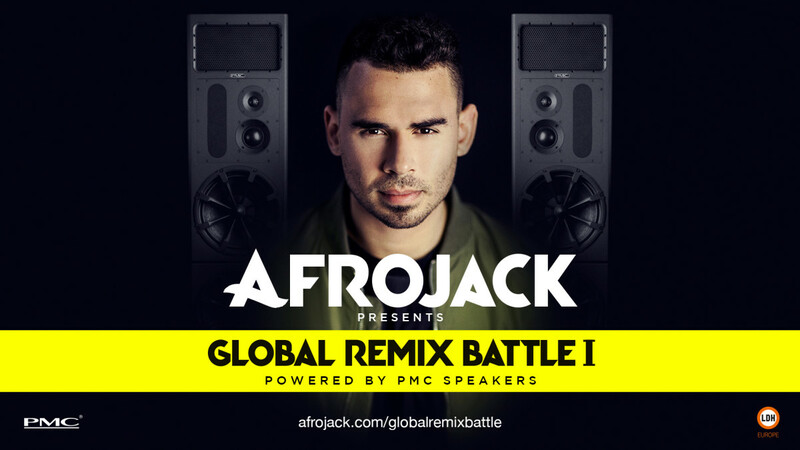 Afrojack Presents Global Remix Battle I or for short, GRB1, is still collecting entries up until January 14th. The potential winner will have the chance to remix an Afrojack song and the opportunity to be mentored by van de Wall himself. And for the biggest prize of all, there&apos;s also the possibility of getting signed to Wall Recordings. With Wall Recordings alone, van de Wall has done so much to give back to the music community and foster the next generation of artists, but now with LDH who knows what more he&apos;ll do. On everything he&apos;s done so far and now especially with these global talent searches he said, "I hope we can make some dreams come true!" The Dutch superstar DJ might be in trouble for the mistakes made by his tax advisor, while his own role is being investigated. 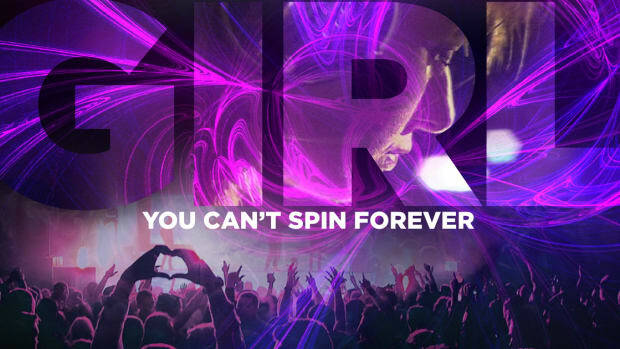 Afrojack's latest is a hit in the making. The Grammy Award winning superstar Afrojack will release his EP "Press Play" very soon!